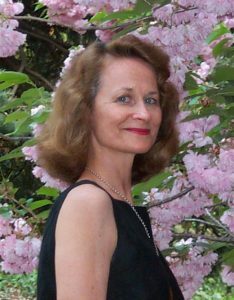 Award-winning author of numerous novels for middle grade and young adult readers, including Messenger; Initiation; Send One Angel Down; If I Just Had Two Wings; Crossing to Freedom; Nutz! ; and a novel about writing, 4 Kids, 5-E, One Crazy Year. Ms. Schwartz has had 35 years of training and practice in yoga in a variety of approaches: Sivananda, Integral, Iyengar and Kripalu. She received her yoga teaching certification in 1976 at the Sivananda Ashram. To see if Virginia is teaching a course this quarter, click here. 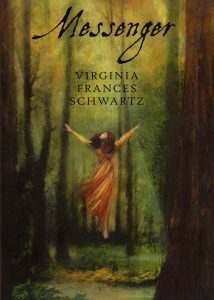 Click here for a sample podcast from Virginia’s Moving into Stillness: A Yoga Based Writing Course. Click here to visit Virginia’s Facebook author page. My goal is to help students nurture their writing practice. To be a writer is to develop a relationship with your creative self, balancing the wildness of the subconscious with the clarity of the conscious mind. Writers use their daily practice to confront barriers: lack of time; fear that nothing will come, or that thoughts cannot be expressed the way they blaze in your mind. When you establish a regular practice, making a commitment to a consistent time and place, resistance softens. By continually facing the unknown through the disciplined art of notebook writing, an inward shift occurs. Stories find their way upwards from your gut onto the page. When you sit patiently, you call up the muse, a wind that breathes fire into your imaginings. The muse is inside you. This is what it means to build a writing practice. It’s practical, mysterious, always changing. Anything can happen. Instructor Website: Click here to leave our website and go to Virginia’s website.